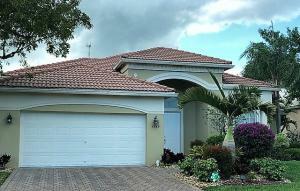 Bellaggio homes for sale Lake Worth FL. 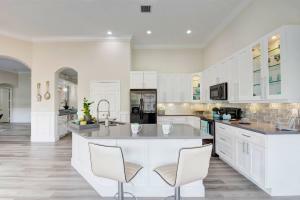 Welcome to Bellaggio an active adult (55+) community located in Lake Worth, Florida between Hypoluxo Road and Lantana Road. Bellaggio has two entrances and each one is 24 hour man gated. Bellaggio -Medeterranean-style homes built in 2001 - 2004. Homes in Bellaggio are priced from the mid $3,000s to over $500,000s. Home sizes range from 2,600 square feet to 3,500 square feet. From the moment you enter Bellaggio you will see a lot of lake front homes and lush landscaping. 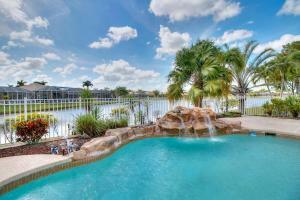 Close to all major highways and just minutes to the beautiful sunny beaches. If you want a home that has everything, you must see this one. 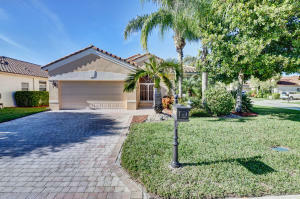 This upgraded pool home is situated on the best lake lot in Bellaggio. There is no other lake view like this one and you would be hard ... Listing courtesy of Home Sellers Market Inc. There are clubs of all kinds such as technology, arts and crafts, women's and men's clubs, pottery, knitting, stained glass, bridge,canasta and poker just to name a few. You can be as busy as you like here and you will have a lot to do, or just relax at the beautiful pool with lush landscaping and colorfull flowers, have breakfast or lunch in the cafe' and enjoy the life-style.</p> <p>Search for all of the most current listings for sale in the Active Adult (55+) Communities by using the Advanced Home Search.